The Writes of a Mom: Global Perspective Thanks to Grandma! 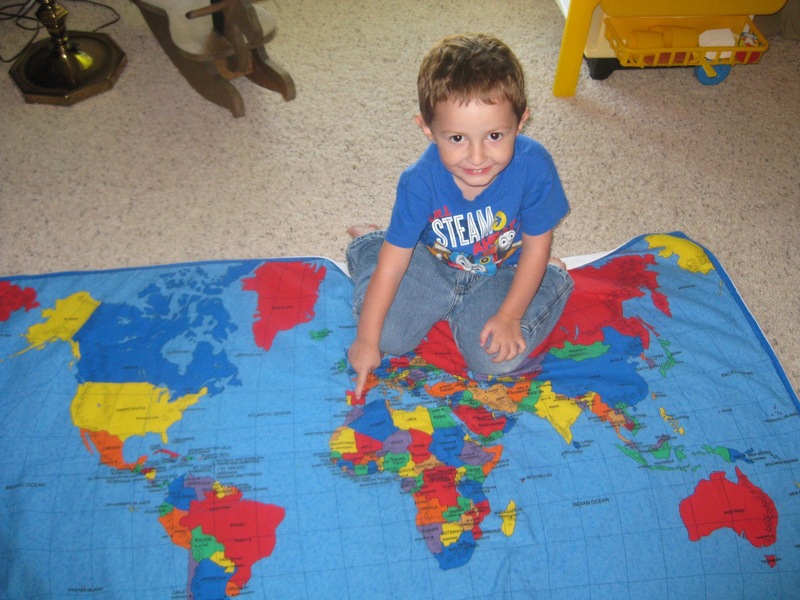 Though they are still very young, I want my children to begin grasping how vast the world really is, how much variety God has created and loves, how different cultures reflect God's glory. 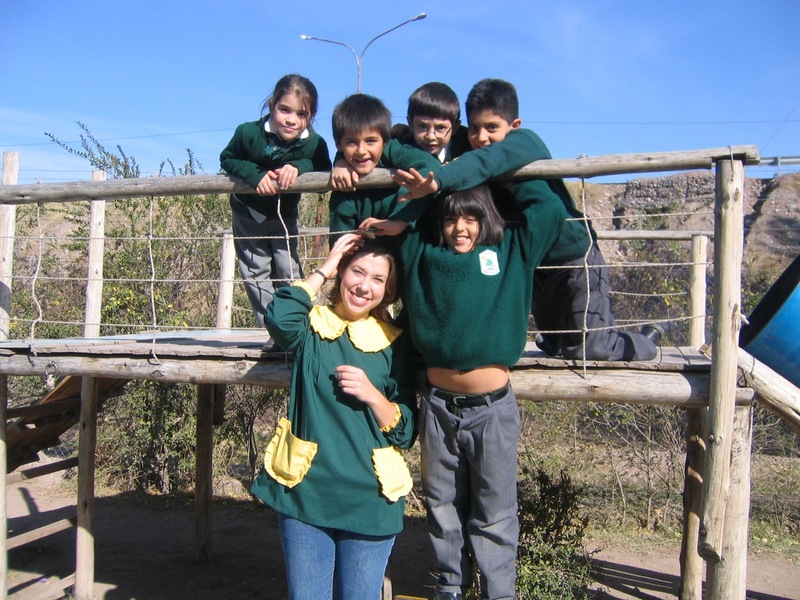 When I was 20, I took a year and a half off from college to live and teach in Argentina. That time opened my eyes to the beauty that God has created in diversity, so intentional and so challenging. How do I pass a love for that diversity on to my children? Thanks to Grandma Pam we have a built-in reason to study a culture besides our own. The is the second longer-term mission trip my mother-in-law has taken in the last two years. After 6 months in Israel in 2010, the Lord has led her to another 6-month term, this time in Spain. 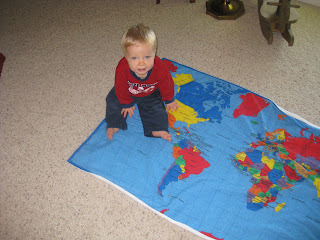 We've been pulling out a giant map blanket that I found at the Salvation Army Resale Shop to find where in the world is Grandma Pam. Ben is pointing out where we live in the U.S.A. Here's Caleb pointing out Grandma Pam's whereabouts. We daily have to get out the map and find where Grandma is. Over the next few weeks, we'll be reading about Spain, learning some Spanish words (thanks to my time in South America), listening to Spanish music, talking about commonalities and differences, and praying for the people of Spain with the help of Operation World. Why am I bothering while my children are so young? 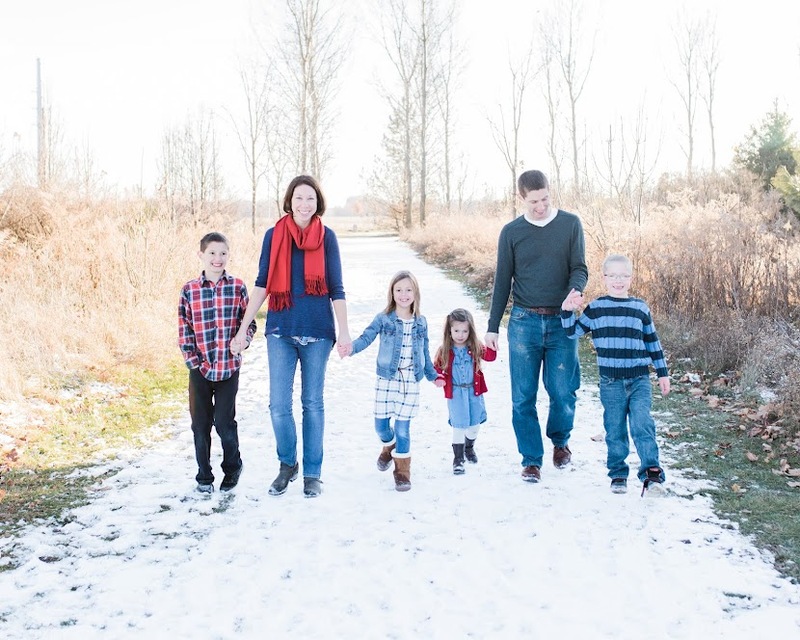 Because I want to redefine normal for our family, and I have that rare opportunity while they are still little. I know it's incredibly idealistic, but I want their normal to be supernatural. Normal will be praying when there are needs and reading Scripture to find answers. Normal will be thankfulness despite circumstances. Normal will be having others in home often so we can minister to them and be encouraged ourselves. Normal will be examining everything we learn about to find out what it tells us about God. Normal will be praying for all nations because our God sees the globe with no borders, only souls. So here's to a new normal. Lofty goals, I know; but if we don't know where we're going, we won't know which roads to take. At least I can start my children on the right roads. Who knows where in the world it will take them? Oh yeah, God does. Thanks, Jaena! Encouragement always appreciated :-).